The Elftmann Student Success Center was dedicated on June 9, 2006. The money for the Center was part of a donation from Joel Elftmann.
" I need to pay back, to invest in new students. Somebody invested in me. " It was September 2, 1958 when an 18-year old graduate of West High School in Minneapolis enrolled in Dunwoody’s Machine Tool and Die program. While we don’t know what prompted his career choice, his record as a student indicates that he knew what he wanted and was serious about his education. His teacher during the early months of his coursework was Loren Blanchar — a taskmaster not known for puffery or undeserved praise. But Loren was a good judge of talent and summed up this student’s potential with these words: “Fast. Good Attitude. Aggressive. Cheerful. Capable. Inquisitive. Persistent. Interested. Intense. Good reasoning. Good math.” Joel graduated from the Machine Tool program in 1960. With such a start, it’s easy to understand why his instructor, in the final months of the course, would rate this student’s work and attitude “Excellent.” But, lest his young protégé harbor any illusions about the future, he offered a bit of fatherly advice. His instructor suggested that he still had much to learn and that maybe he should consider a job in tool-making rather than the more tedious job of mold-making. Contrary to his instructor’s advice, Joel Elftmann was already working part-time for Booker & Wallestad, Inc. as a mold-maker. When he graduated from Dunwoody, he became a full-time employee. He later became one of four original employees of Flouroware, now known as Entegris, a Booker & Wallestad spawned company, that caters to the semi-conductor industry. In September 1973, Joel and a member of a product group, who spun off from Flouroware, co-founded FSI, International. Over the years, Joel acquired controlling interest in FSI. Joel served as chairman of FSI, International until his retirement in 2002. Today, Joel is president and CEO of Custom Fab Solutions. 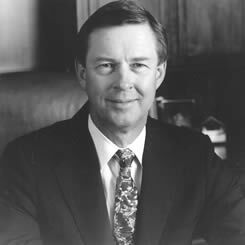 Joel was the first Dunwoody graduate to serve as chairman of the Dunwoody Board of Trustees from October 2000 to October 2002. During his term, Dunwoody completed the $25 million Living the Promise…Fulfilling the Dream campaign; achieved ten-year highs in student enrollment and increased the diversity of the student body. The Board of Trustees also added twenty new members to the Dunwoody Legacy Association; completed a strategic visioning process, and developed a dynamic five-year strategic plan. They changed the college’s name from Dunwoody Institute to Dunwoody College of Technology; and led a smooth and successful transition in presidential leadership of the College. Joel continues to serve on the Dunwoody Board of Trustees. Joel Elftmann’s $500,000 commitment to the Elftmann Student Success Center will impact the quality of education for Dunwoody students for many generations to come.